As a fan of college football, I want to see a fair and equitable championship solution as much as the next guy. But looking at this year's top 16 or so teams heading into the last week of the season, it becomes apparent that most of these teams have already played someone else in the top 16 at some point this season. I always hear that the championship matchup should be decided "on the field" instead of by polls and computers, but if we look at the regular season we can imagine what might happen in a playoff scenario. Given the top 15 teams plus the champion of the Big East (who won't be ranked that high), we might develop a sixteen-team bracket that looks something like this. This bracket assumes that the Big Ten champion as well as the runner up will be in the mix (Michigan State and either Penn State or Wisconsin). It also assumes that only the ACC champion (Clemson or Virginia Tech) will make the bracket. Among these teams, only 4 haven't played another team in the top 16: Houston, the ACC champion, Michigan State, and Wisconsin. If we presume the results of previous meetings, the results are fairly clear. On one half of the bracket, LSU has beaten West Virginia, Oregon, and Alabama and goes to the championship game. On the other half of the bracket, things are less clear cut. Boise State beat Georgia early in the season, and Oklahoma State beat Kansas State. We could imagine that Oklahoma could handle the ACC champion as they handled Florida State, and since no one from the Big Ten plays outside their conference, we don't know what would happen if they played Houston. In any case, it would be reasonable enough to conclude that Oklahoma and Oklahoma State could meet in the semifinal, which we will see on the field next week. The winner of that game (Oklahoma State is favored) should meet LSU in the championship game. Of course, it won't work this way. The two best teams in college football right now are LSU and Alabama, but they played an ugly, smash-mouth, defense-dominated slugfest that ended 9 to 6 in overtime, and no one wants to see that again. If we could reward the teams who won in the regular season, it would make sense to match LSU against Oklahoma State to see that SEC defense against Brandon Weeden and the high powered Cowboy offense. In an ideal world, we'd have a tournament bracket and seedings like this. For now, we'll just have to imagine, and hope the polls and computers come close. 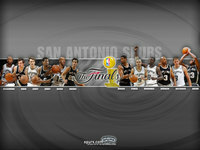 The San Antonio Spurs are the most dominant sports franchise of the decade, according to Forbes Magazine. Let's just hope they can beat the Bobcats tonight. Only four NBA teams in history have won four championships. Celtics. Lakers. Bulls. SPURS. Only 8 teams have swept their opponent in the NBA Finals. Only 5 coaches have won four or more NBA Championships. Red Auerbach (9), Phil Jackson (9), John Kundla (5), Pat Riley (5), and now Gregg Popovich. The Spurs' .727 winning percentage (16-6) is the highest in NBA Finals history. Gregg Popovich's .641 (91-51) playoff winning percentage trails only Phil Jackson .699 (179-77). The Spurs' winning percentage (.709) over the last 10 years is the best winning percentage of any team in professional sports over that span. In the last 10 years no other professional sports team has won four championships. I just want to congratulate the *SEC* on winning the BCS National Championship. It was really a great game, and the *SEC* played amazingly well. The *SEC* deserved to be in the game, and was clearly the better team. I can honestly say that I'm proud to be a fan of the *SEC*. Please note...serious moral obligations and team loyalties prevent me from actually naming, praising, congratulating, or having any positive feelings whatsoever for the team from the sunshine state that actually won the game. GO SEC!!!! A lot has gone on in South Louisiana over the past three weeks. One thing that hasn't gone on, however, is football. I have never seen a place that lives and breathes football the way Baton Rouge and the state of Louisiana do for the Tigers. It's life, it's religion, it's everything. Of course, this sounds a bit far-fetched and crazy. I know many thinking people who would say, "it's just a game." But it isn't just a game. It's an identity. It's a place to belong. And when those players hit the field, it is your own personal reputation on the line. So what happens when the region is devastated by the biggest natural disaster America has ever known? How do the players, students, and fans react? Much to my suprise and delight, they all reacted with good sense, compassion, and class. This article does an amazing job of capturing the highlights of LSU's role in the Katrina recovery and how the coaches, the team, and the students have come through. And, of course, what it will mean when the lights come on in Tiger Stadium for the first time this season. In the 3-to-4 days after Katrina came ashore about sunrise on Aug. 29, and especially when the levees of New Orleans broke the following day, Baton Rouge became the center for the sick and the fleeing. Right in the middle of it were the LSU athletic facilities, such as the Pete Maravich Assembly Center, the Carl Maddox Fieldhouse, the Bernie Moore Track Stadium and Alex Box Stadium. The P-MAC became possibly the largest triage center in American history, treating 30,000 sick and injured. The fieldhouse became a 500-bed hospital. The track infield was a helipad to drop critical patients. The large Chinook helicopters shook windows of the athletic building, wind from the rotors bending nearby oak trees like twigs, blowing all the sand out of the long- and triple-jump pits and the gravel out of the shot put and discus area. The baseball stadium was a drop-off point for evacuees, who were then bused to the Baton Rouge River Center. "For the first 72 hours, when we didn't have federal or state help, LSU ran the show," LSU athletic director Skip Bertman said. "Everything was done by local doctors, LSU student-athletes, LSU students, faculty and staff. I've never been so proud to be at LSU." It's amazing what sports does to you. 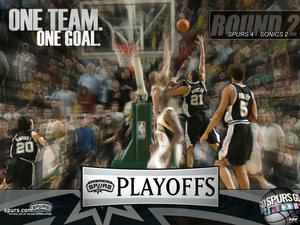 I remember where I was sitting for the final minutes of the clinching game for each of the Spurs' 3 NBA Championships. I've never met the Spurs. I've never played basketball in front of 20,000 people. I'm only five-feet-eleven-and-three-quarter-inches tall. There is so little I have in common with these guys, yet I was elated beyond words when they beat the Pistons last night. Maybe it's just gratifying to watch someone achieve ultimate success at what they do. Maybe it's great to see a sports team with great character and teamwork be on top. Maybe it's because I've been watching the Spurs since Larry Brown coached Alvin Robertson and Willie Anderson. Sports fans, help me out here. What is it about sports? ?